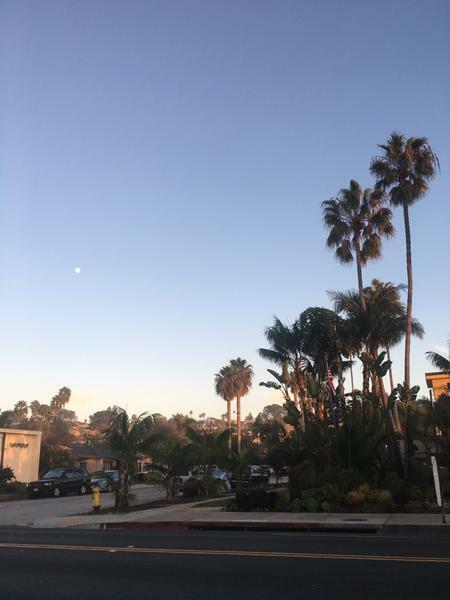 In the haste of getting motivated by some Instagram travel bloggers and the “I am so done with exams” feeling, I found myself using my miles to book a one-way ticket to San Diego. This served two purposes: to find warmth that no amount of hot chocolate could provide here in Vancouver and fulfil the longing to put my summer clothes and swimsuit to use again. But what I expected to do in this solo journey to California turned out to be very different from how it actually went. This trip had everything: admiring an abundance of nature, finding out the cheapest way to do pretty much anything, partying with people I barely knew and self-reflecting. As my plane landed in San Diego, I let go of my thick rain jacket and inhaled the warm and serene California air. It seemed like a relief to be here and I was just waiting to see what was in store for me: whether it would be dull and boring, or zestful and adventurous. The next day, I took a long walk around Little Italy in downtown. This led me to face one of my biggest challenges of social anxiety: to have lunch at a fine dining restaurant all alone. I thought I would be awkward and bored, but no. This was the exact time I overcame the fear and just felt grateful for being in that city, adoring the views and sounds of the local Italian market and music while enjoying my delicious meal. After that, I headed towards a dog beach and spent a nice calm evening there, in an attempt to even out my tan while having dogs lick my face and feet. Watching the sun set into the ocean from the Sunset Cliffs was an experience in its own. This got some positive energy running down me. With all the ocean air and salty hair, San Diego proved to be a very relaxing spot for a nature-lover like me. But of course, this had to change as the next destination was Los Angeles. I got a whole different vibe as I reached the Union Station in LA, waiting for a bus to my hostel. The hustling crowd, the lit-up roads and the tall buildings made it all look poles apart from my peaceful stay in San Diego. I soon reached my hostel to find many other solo travellers like myself. 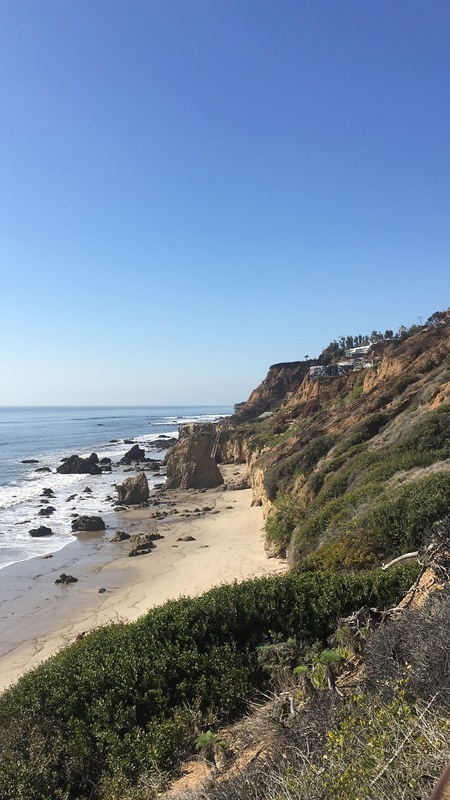 The next morning, I took off with two of my roommates and headed to Malibu and Beverly Hills. Needless to say, by the end of the day, we had become the three amigos. Back at the hostel, we met other residents who were playing drinking games and heading to a club nearby. Of course, what followed was a lot of alcohol, sitting in a stranger’s van to reach the club and getting free champagne by making small talk with a random birthday girl. While walking back to our hostel, we all did the drunk Walk of Fame (NOT shame, luckily). The lessons learnt here were the art of being free-spirited, of not having a plan and going with the flow. Later, I took a bus from LA to San Francisco. Struggling with limited data and dealing with last minute bookings, I tried to plan a few “must do” things in SF. However, nothing went as planned because Vancouver weather missed me a little too much, and it began to rain heavily. My hostel roommate and I bonded over the shared disappointment, which led us to catch a movie together. Jason Momoa was surely a great help in improving our moods. The following day, as I hiked up the steep roads of SF while waiting for my train to Seattle, I realized a place is more than just its “tourist attractions.” There are a lot more stories one can tell based on just interactions with the people they meet and the spontaneous activities they do. Of course, coming from Vancouver, I did not expect to see a whole lot of difference in the cities, cuisines, culture and architecture, but it was the people who made the experience worthwhile. Sightseeing and viewpoints were the agenda, but I came back with a little more. Carrying my stinking backpack around had taught me to live with the bare minimum and modelled me into becoming a low-maintenance and an easygoing individual. The trip enlightened me on working with a strict budget and trained me to think on my feet. Although I did hope to also learn how to manage my hair and skin in severe humidity — I guess it’s okay to leave that for next time.